I'm going to start this post the same way as I seem to start all of my blog posts... it's been such a long time since I last blogged! Sorry folks. I do have a special tutorial and a great new beading resource to tell you about which I hope will make up for my absence. Some of you will be mourning the loss of the beading magazine 'Beads & Beyond' which sadly published it's last edition in December. If that's the case then you will be pleased to know that Editor Helen Bowen has a new project on the go - The Beading Library. More and more crafters are now using online sources for everything from supplies to tutorials and advice. YouTube has become a great source for free and accessible tutorials, facebook for contact with like minded folk and sites such as Pinterest are providing us with great visual inspiration. 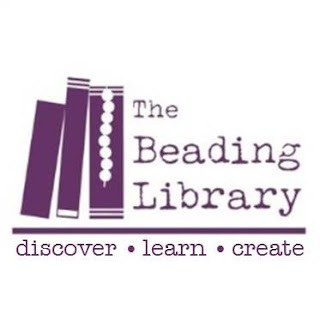 Helen, former editor of Beads & Beyond recognised this shift from paper to digital and has this year launched 'The Beading Library' a new online resource for jewellery makers, TBL is a virtual archive for all things jewellery related. From product and book reviews, interviews, fashion news and competitions to projects spanning multiple mediums and exclusive offers. Most of which is free and available to access via Facebook, the blog and Pinterest. 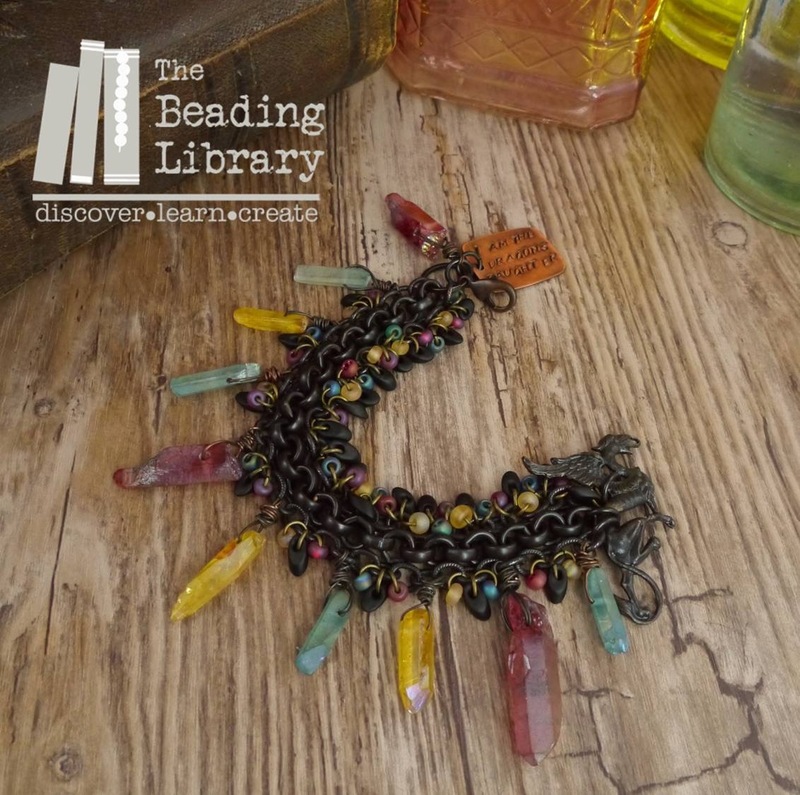 If you like the sound of this you can sign up for the newsletter via The Beading Library website, you will find the link below along with links to facebook, pinterest and Helens gorgeous tutorial. Each month Helen publishes a tutorial which you can get your hands on by signing up to her newsletter. Her latest project 'Descended from Dragons' has a whopping 7 designs included. The gorgeous bracelet above is just one of the beautiful creations, if you fancy a bash you can find in the tutorial link at the bottom of the blog. In addition to using Smittens Crystal spikes you will also see our matte black peanut oval chain and Vintaj creative hoops incorporated in the designs. Dedicated to all things beady!